We might be in the middle of winter, but it won’t be long before spring arrives, and the sun returns. And when it does, we’re all going to be spending much more time in the outdoors. 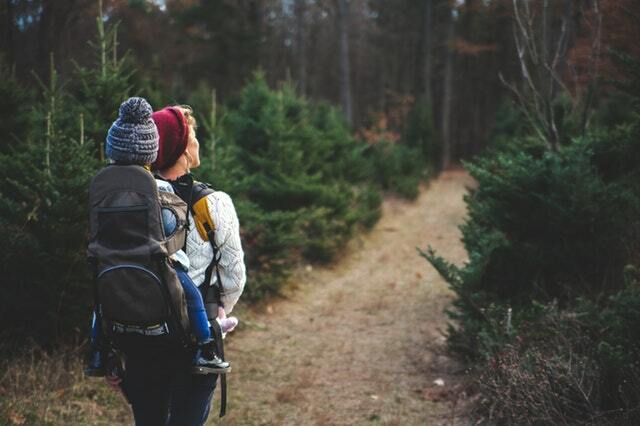 There’s nothing better than getting the family together, packing some supplies, and heading off to a local nature area for a long hike. However, while there’s plenty of fun to be had, it’s also important that you’re keeping your family and yourself safe while you’re away from civilisation, however brief the journey might be. We take a look at three essential tips below. It’s all good and well going for a hike when you think the conditions are going to be perfect, but when we’re in-between seasons - as in, going from winter to spring - then the weather doesn’t really know what it’s doing, and the conditions can quickly change. Keep an eye on the forecast before you go, and pack some waterproofs/warmer clothing just in case you get stuck out in inclement weather. Yes, you’ve been cooped inside your home for a long time during the cold weather, and yes, you’re eager to explore the outdoors. However, it’s important that you keep things modest for your first journey into the outdoors. It’s much better to leave wishing you could spend a little longer in the wild, rather than going too far and getting trapped outdoors. There’s always a chance that something will go wrong, no matter how hard you try. Make sure you have a have a plan in case something goes wrong, such as where you’ll go, how long it’ll take, and so on. You can keep your family extra safe while you’re in the outdoors by completing a first aid course with LIT First Aid & Lifeguard Training. During the course you’ll learn how to deal with a number of emergency medical situations.